View Poll Results: Like My Sprites? Hi! 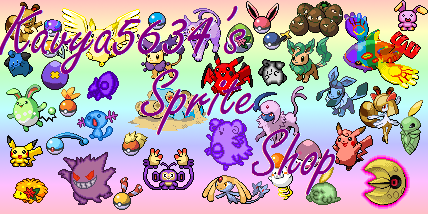 Welcome to sprite shop! I want a sprite Ditto92! I hope you like my sprites! Last edited by Ditto92; 05-30-2011 at 08:13 PM. YES YOU DO THE LICKY'S XD I think that they think pie is yummy. 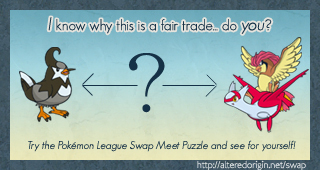 Pokémon: Can I have one of Espeon, and one of shiny Umbreon? Password: I entered it at the top, but... Pie is yummy! Password: (SPOILER) pie is yummy. Other: Could you change the color scheme to more like Pikachu's? Other: Could you re-colour it to blue and I don't reall care what the theme is. I want to see what u come up with! I would like a sprite, Ditto92. To use the sprites, copy the code and remove the spaces. I know this way is a bit confusing and hard but I'll come up with a different way next time. To put the code in without the forum turning it into what it is, use the noparse tag. As in [noparse][sprite=bw]Golem[/sprite][/noparse] becomes [sprite=bw]Golem[/sprite]. Oh really, I didn't like it much. It was supposed to be glass of water Togipi. Sorry everybody, I'm not going to be here for a while so this sprite shop will be closed for a while. But I'll reopen it in a few days. Last edited by Ditto92; 05-30-2011 at 08:14 PM. A black Glaceon, no more, no less. I refuse to utter such a woeful sentence as a password in a sprite shop. I want a sprite, Ditto92! Last edited by Aletheia; 06-04-2011 at 02:13 AM. Sprite: Erm. Chao and licky? Password: Pie is also awsome, as well as yummy. Pie is yummy. Also awesome. When I grow up, I want to be an immortal locked in an epic battle until judgement day and trumpets sound. Wow, you sure have your priorities straight. 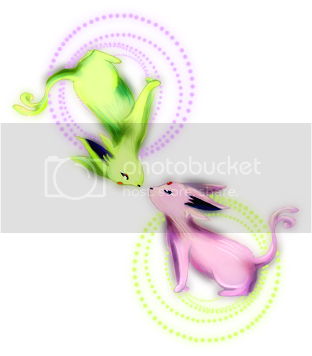 Other:I want it to have gardevoir's shape, celebi's wings and little green things that are on its head, dusknoir's legs and eyes, and mew's tail and arms. I want the colour to basiclly be gardevoirs. Password:pie is yummy! PIE IS VERY YUMMY!!!! Um... I want a lickie? Everybody, I'm a little busy at the moment so I may not get your sprites done. Lickies are closed because they take a lot of time to make. Sorry! Sorry everybody! I'm way too busy and I'm unable to get your sprites done. Last edited by Ditto92; 07-11-2011 at 10:23 PM.